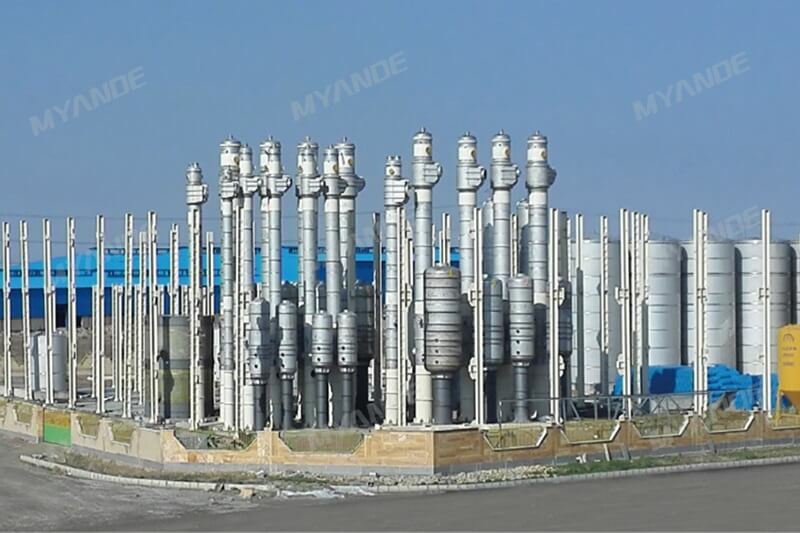 turnkey fructose production line For Sale | Myande Group Co., Ltd.
One-stage jet cook liquefaction is designed under the temperature of 105℃. 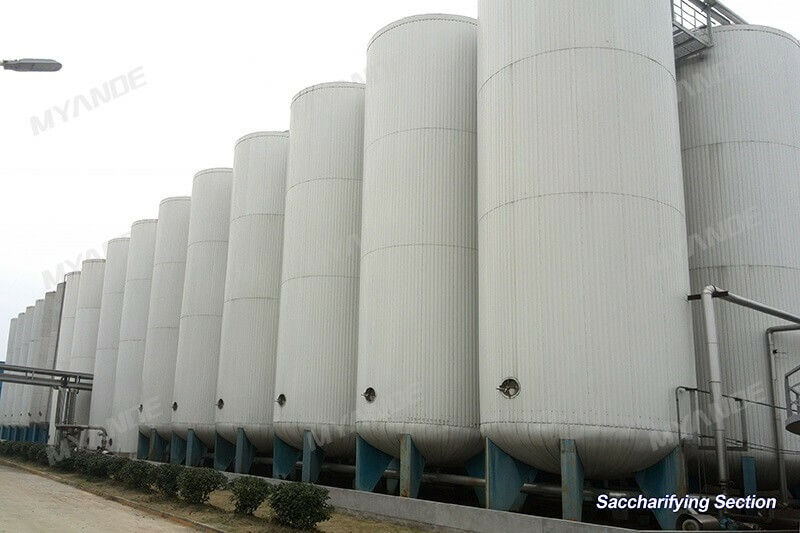 After liquefaction, the DE value is 12-18, with clear appearance and good protein flocculent condition. Jet Cook is US brand with high efficiency, monosaccharide content can reach above 95.5%. Liquefied starch milk will be in the reaction under the saccharification enzyme. 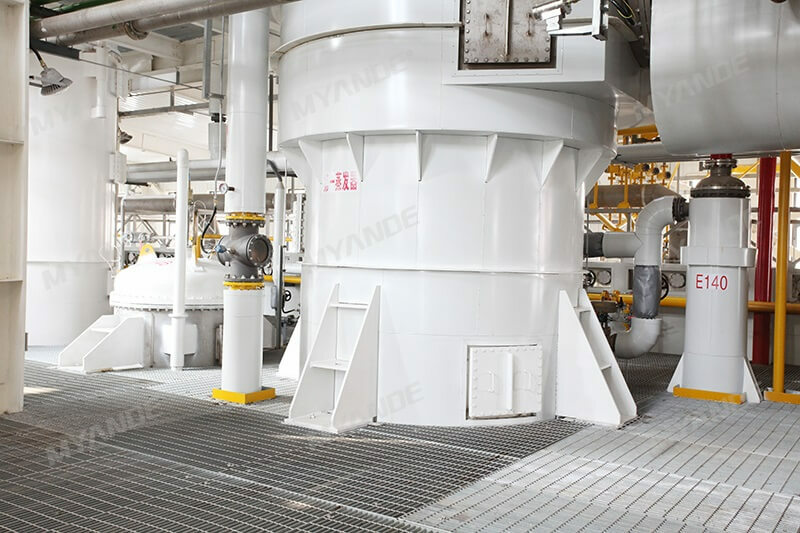 After saccharification, the material enters into belt vacuum filter to remove protein residues, which can be used as animal feed. This section is designed to remove remaining residues such as colloid particles, tiny amount of starch, bacteria and other impurities etc from syrup to obtain clear liquid, which is to increase the purity and transmittance of syrup. Ion exchange resin is used for removing mineral from syrup, the syrup will be passed through cation-anion-cation-anion. 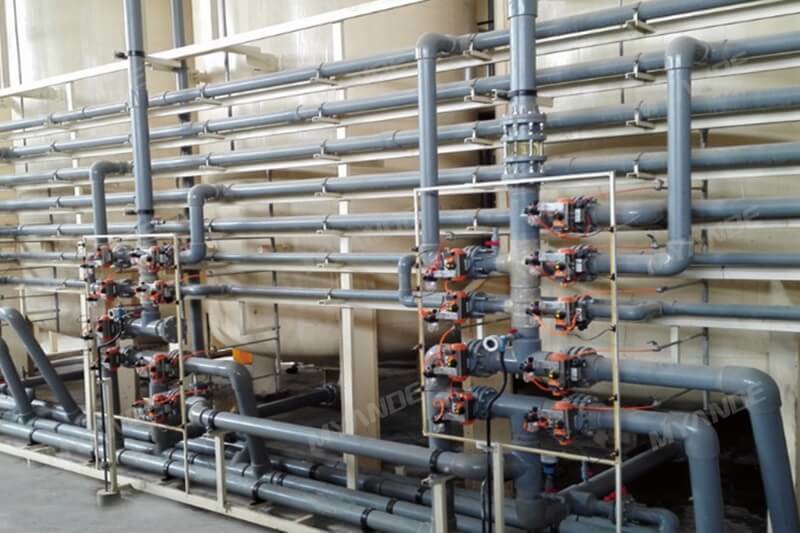 The purpose of ion exchange is to reduce calcium content and ensure the bleaching performance. 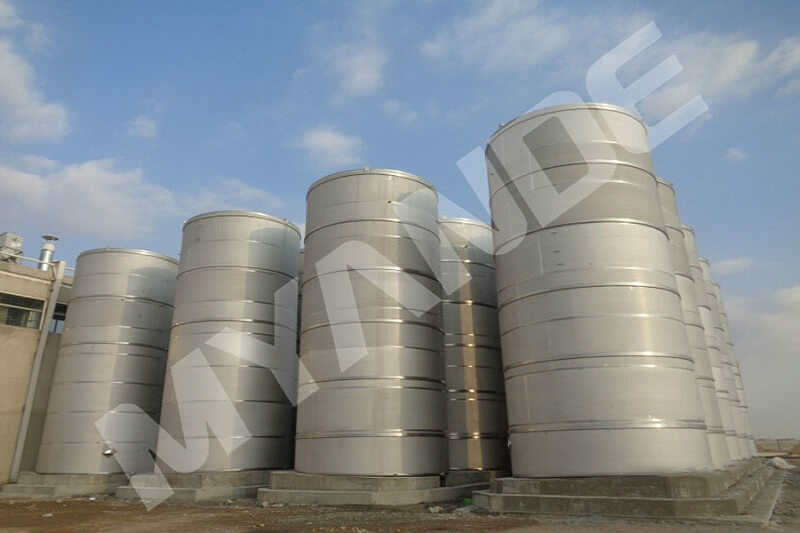 The resin can be regenerated by sodium hydroxide and hydrochloric acid. 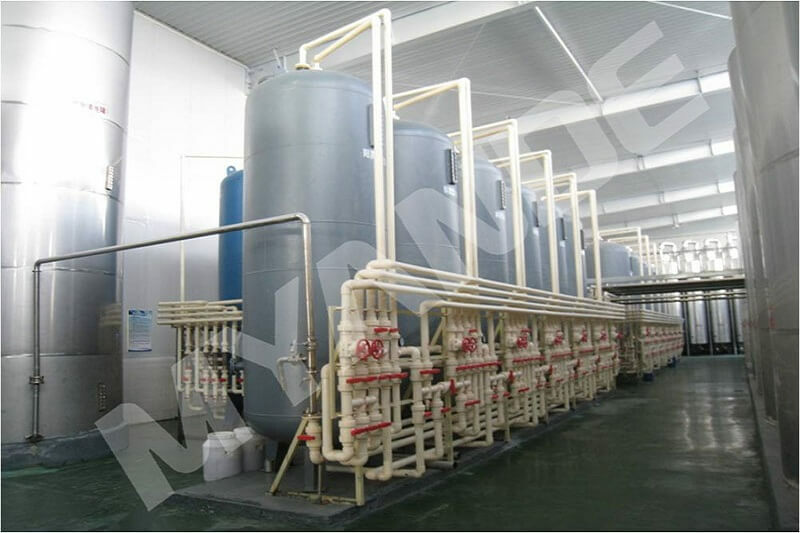 The ion exchange system consists of three parts, which is DE96 glucose syrup ion exchange, F42 syrup ion exchange and F55 syrup mixed bed ion exchange. DE96 glucose ion exchange and F42 ion exchange adopt counter-current full chamber bed technology. F55 sugar adopts mixed bed technology. Full chamber bed is a single-room or multi-room vessel with over. 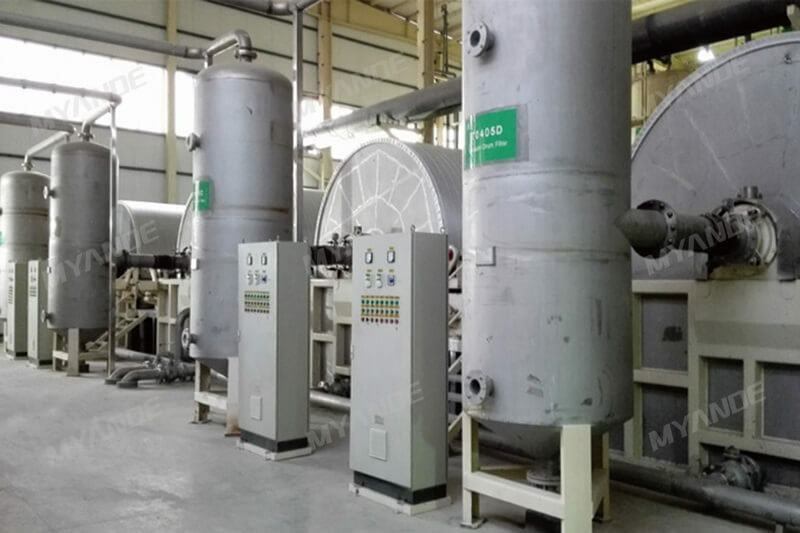 DE96 glucose is concentrated to 45% DS by using falling film evaporator. 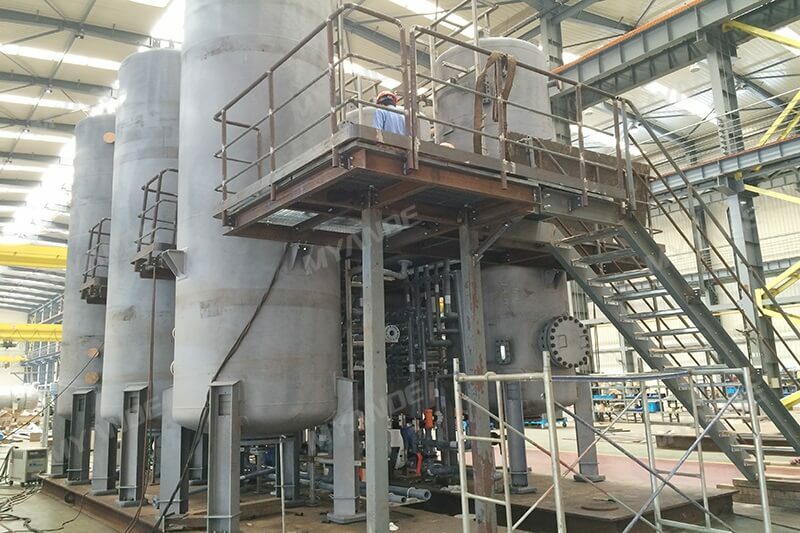 It will use the secondary flash steam from liquefaction ejection. Using immobilized glucose isomerase to convert glucose to F42 fructose. 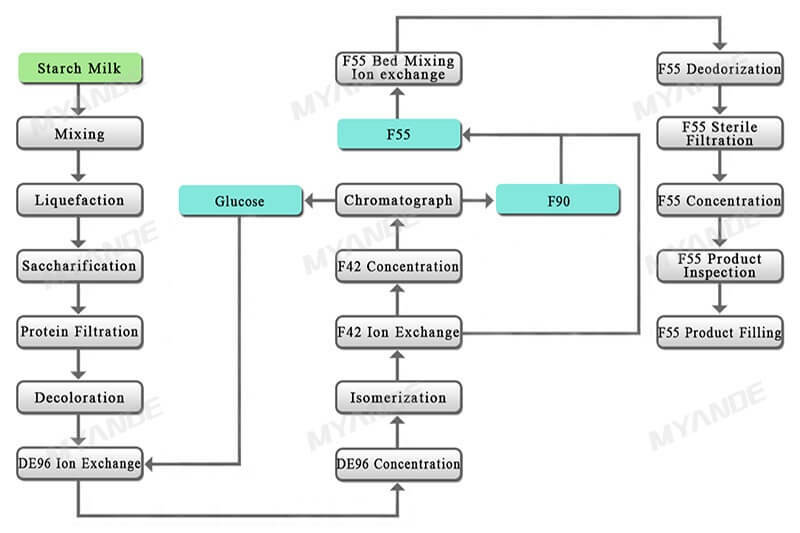 To ensure the activity of isomerase enzyme, proper temperature and pH value shall be maintained by adding MgSO4 and Na2S2O5. After the isomerization of F42 fructose, multiple-effect falling film evaporator is used to evaporate the syrup to concentration 60%, and then go to chromatographic separation. 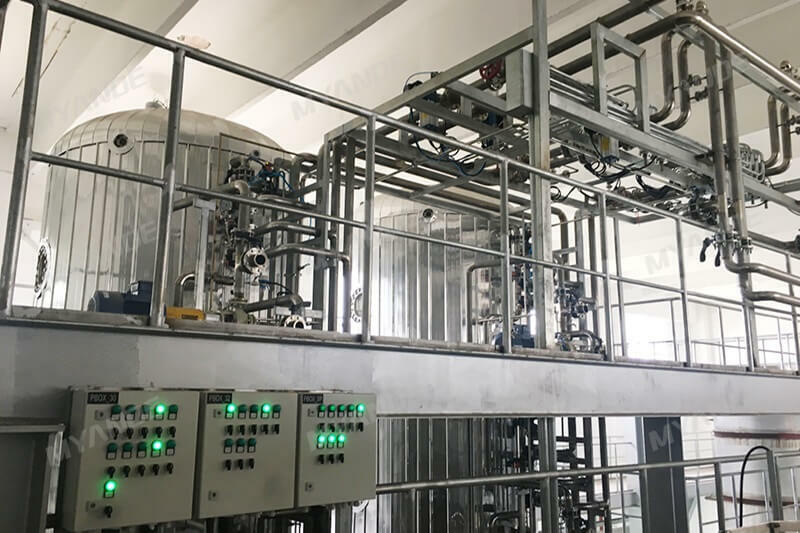 SSMB chromatography separation technology is used separation the glucose and fructose because of the two compositions have different migration rate. 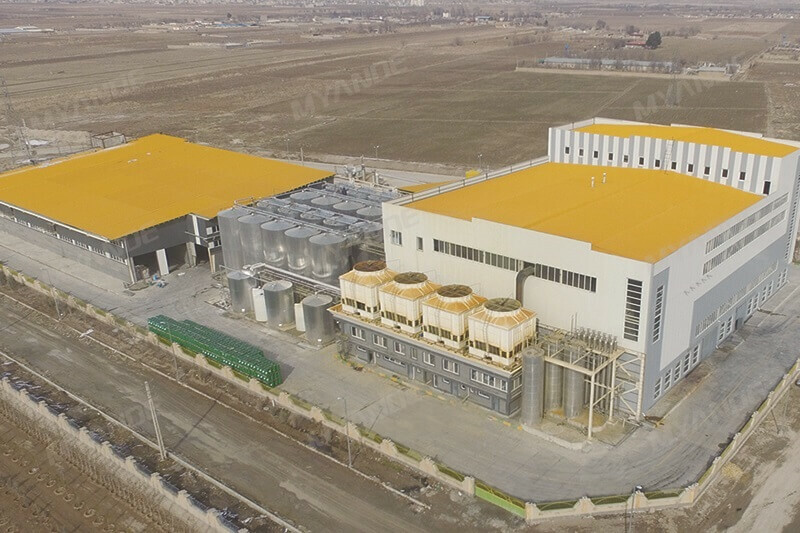 After ion exchange fructose passes through decolourization and deodorization by active carbon, which is to remove the organic impurities and improve the light transmittance. High efficiency closed plate filter is designed with full automation for easy operation. 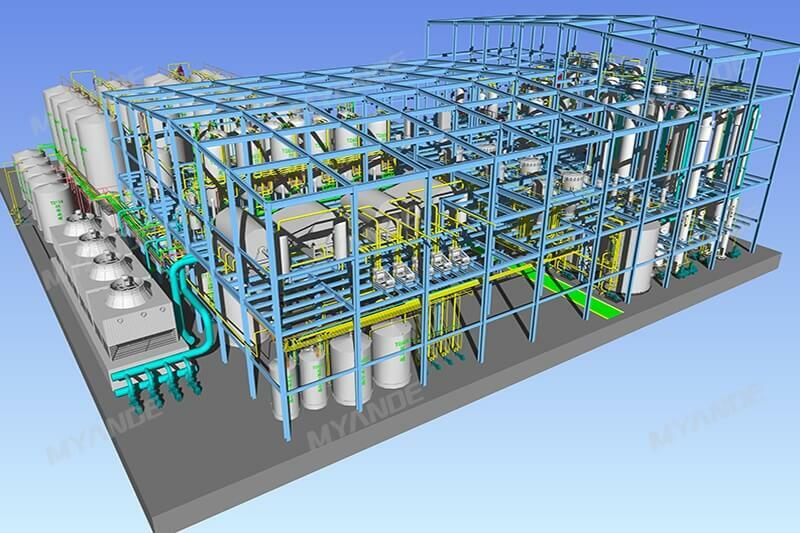 In this section, fructose concentration is concentrated to 77% through falling film evaporator.